Except for the Lord Jesus himself, no person has been more influential in the history of the church than Saul of Tarsus. Paul’s influence upon the early church’s most cherished convictions is so clear and powerful that some scholars have dared to describe him as the founder of Christianity. Paul had a greater impact on the formation of the Christian church than any other apostle. He wrote thirteen of the twenty-seven books of the New Testament so that nearly half of the New Testament documents bear his name. Although some of Paul’s letters are brief compared to other New Testament books, his epistles compromise approximately one-fourth of the total volume of the New Testament. Approximately sixteen chapters of the Book of Acts focus on Paul’s persecution of the church, conversion, missionary labors, arrest and imprisonment. When these chapters are combined with Paul’s letters, Paul may be recognized as the author or subject of nearly one-third of the New Testament. Paul was not only the most effective Christian missionary and church planter in history, but also the most significant and influential interpreter of Jesus’ teachings and of the significance of Jesus’ life, death, resurrection, and return. This book introduces readers to this amazing man and his incredible story. 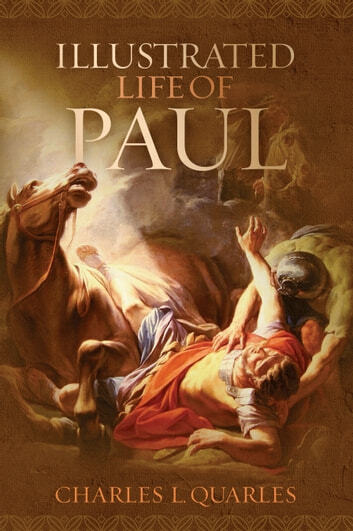 It explains the background of each of Paul’s letters and offers a summary of the beliefs of one of the keenest theological minds in the history of the church. All along, it enables the reader an opportunity to step into the world of Paul with over 150 photos, maps, illustrations, and charts.